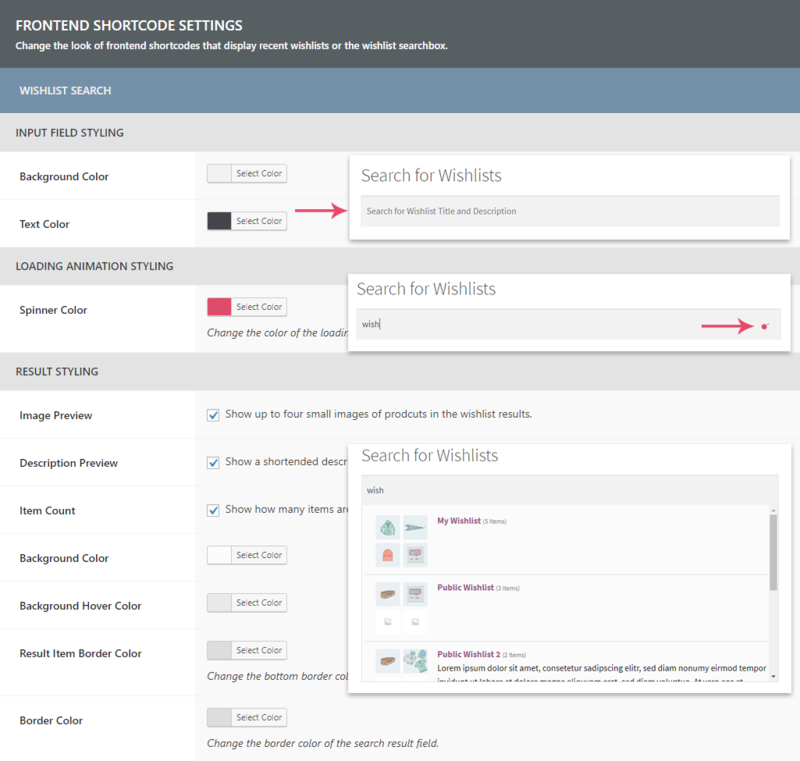 Frontend shortcodes are used on the WordPress site generated by the plugin to display different wishlist functions. The wishlist searches are performed using AJAX. The results of a search request are displayed in a dropdown menu directly under the input field. 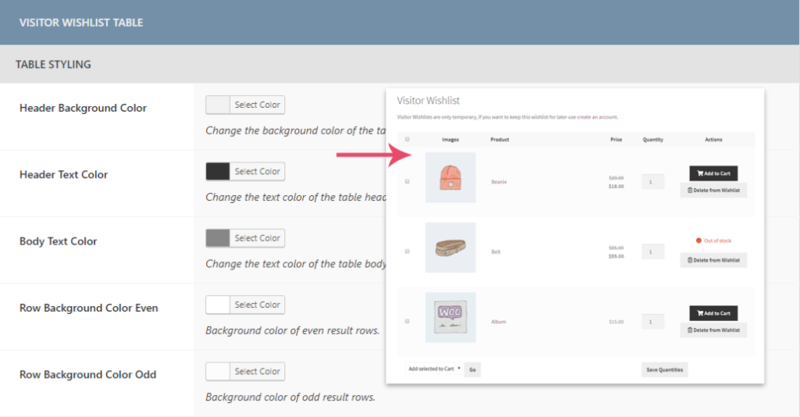 Change the background color and text color of the input field for search requests. Once a the user entered a text to search for a little loading animation will pop up showing that the page is working on the request. You can change the color of that animation here. You can specify which information search results should display. You can choose to hide or show image previews, descriptions and item counts. Its also possible to style the results text color background color and so on. The wishlist list holds all currently published public wishlists. Changes the colors of the table results are displayed in. Changes the colors of the pagination. You can choose which informations you want to display in the list. Its possible to deactivate descriptions, the time a wishlist was created and the amount of products the wishlist holds. 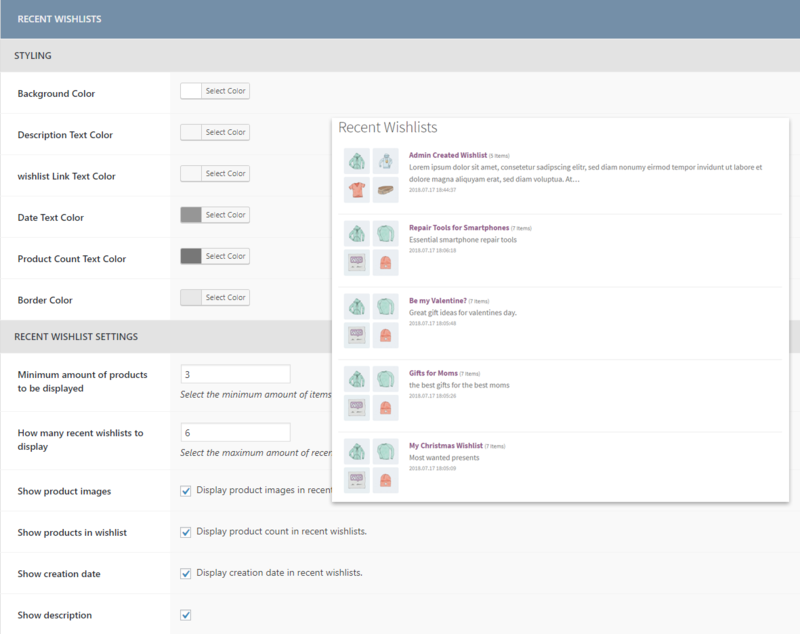 You can also choose to hide wishlists from the list that only have some products in them. 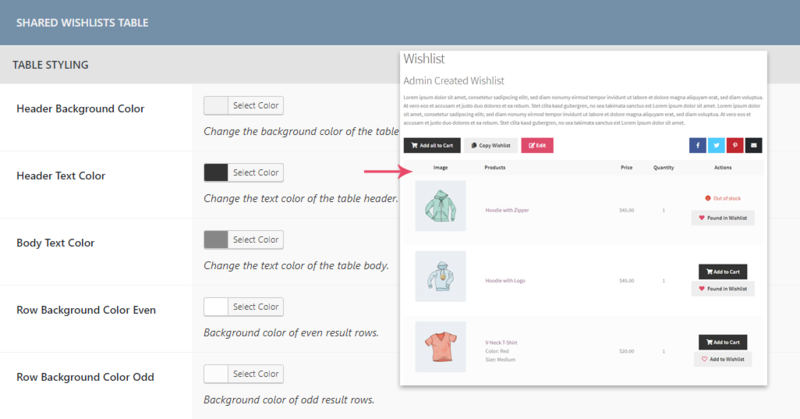 By using the option „Minimum Items in Wishlist“ you can specify the minimum amount of products a wishlist has to have in order to be displayed. Of course its also possible to change the results per page. Changes the colors of the results within the recent wishlists. You can choose two only show recent wishlists that have a minimum amount of products in them. This keeps the recent wishlists lists from looking empty. You can also choose how many results you want to show, wehter you want to show descriptions, product pictures or the date at which the wishlists were created. Changes the default style of the table in which products from a shared wishlist are beeing displayed. 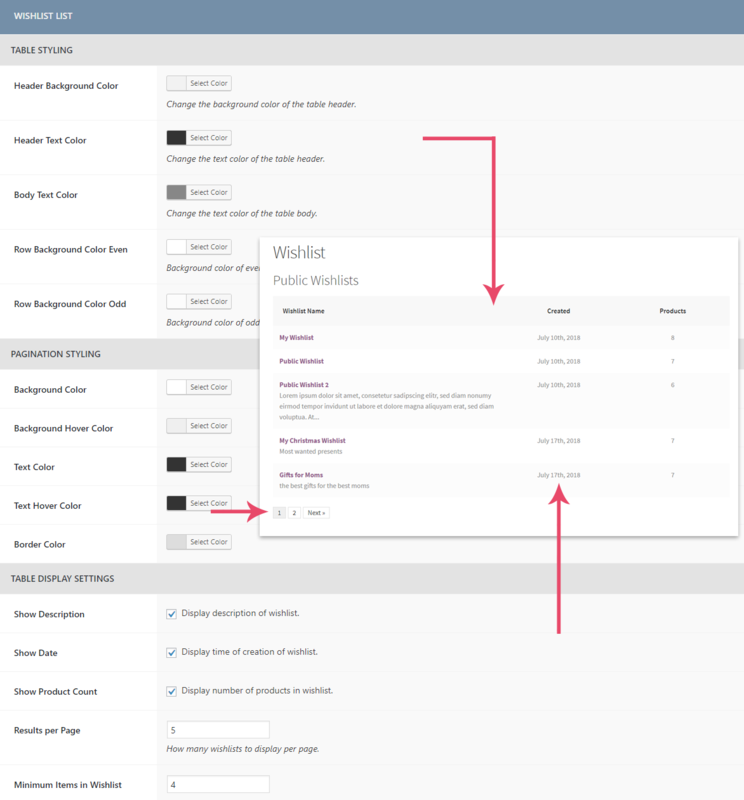 Changes the default styling of the visitor wishlist table.